You Stopped Me Mid-Run for THIS?! Just a little Friday fun :). Last night was one of those nights where everything really clicked. At first my right calf felt a little tight and I was worried that I was in for a bad run. Luckily after the first mile it really loosened up and I was able to relax and hit cruise control. Then SMACK in the middle of the run a man waves me down. I tried to ignore him at first but he stepped into my path to stop me and he was waving his hands. I hit pause on my Garmin and took out one earbud to find out what was going on. Him: “Okay thanks.” and he walks away. I know a non-runner probably doesn’t understand how annoying it is to get stopped for that kind of conversation – but I know you understand! That totally took me out of the zone, broke my stride and annoyed the heck out of me. Like yesterday’s quote said, I don’t have time to be friendly when I’m working out! ?? Oh well. After that I had zero interruptions, finished my run feeling amazing and even had time to sit and stretch by the water. My favorite way to end the day. Even though it’s getting very warm out I feel like I’ve pretty much acclimated to it now, as much as I’m going to anyway. When I got home I made an ice cold smoothie with frozen fruit and called it a day! Has anyone ever flagged you down or stopped you mid-run? What combinations do you like for your smoothies? Previous Post Did It Again! Oh wow thats so annoying but kind of funny! I have had people stop me for things like directions which I feel like is a legit reason, but still annoying. Hope you have a great weekend! I agree, stopping someone for directions is a legit reason. 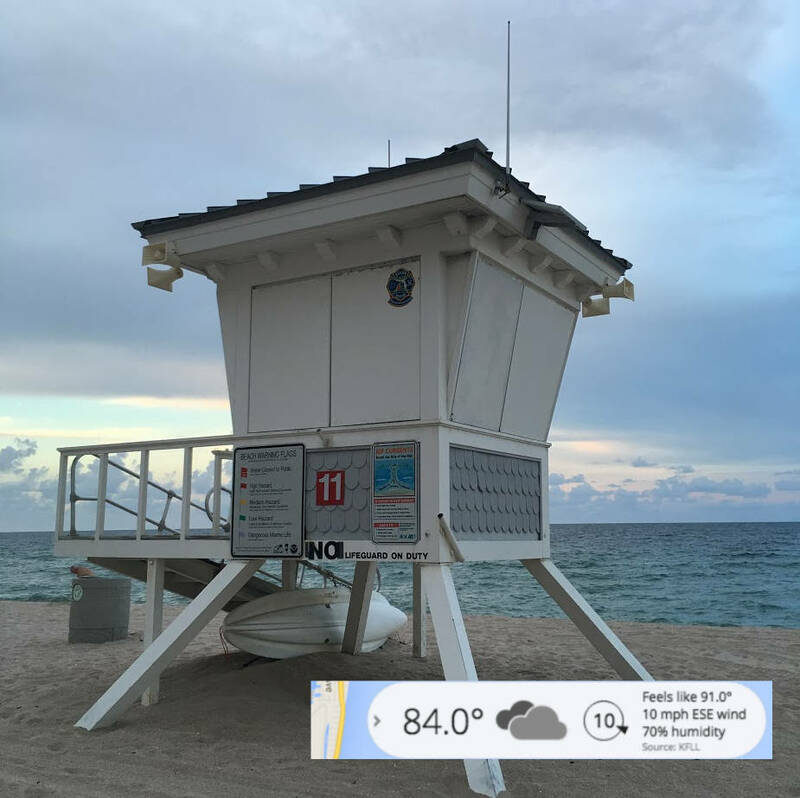 Asking about my sweatproof radio? I mean Google it! It might not have been so bad if he said “excuse me” or “sorry to bother you” but I guess he just didn’t realize how annoying it is to be stopped mid-run! I love your version of the insta post! I am the person wondering how girls look so good after working out or a marathon. The first person I think of in regards to this is Ali! Ali always looks so fresh and beautiful in her post run pics. OMG ALI! If I didn’t like her so much I would be slightly annoyed at how put together she always looks no matter the situation! 😀 Her post-workout selfies are always perfect! You can tell she worked hard but she looks amazing anyway! I actually thought of you telling the story of the car you ignored! Hey, that’s what Google Maps is for! I had someone stop me mid-run to take a picture of them (it was in front of the art museum). I don’t even think I did a good job of hiding my annoyance, that’s how bad it was. I think, looking back, I was just more annoyed at myself for actually doing it. Because seriously. Being stopped to ask for directions is also annoying but a little more excusable, but stopping a runner so they can take a photo of you? Seriously? It’s so ridiculous that I now wonder, looking back, if they were just messing with me. I think how you look after a workout/race is all about how good your skin is. Seriously. I look terrible, and I think it’s just because the sweating and flushing exacerbates my already crummy skin. But people with good skin just always look good. It’s not fair. WOW I can’t believe they stopped you to take a picture! That is really annoying. I mean, selfies are totally a thing and I’m sure they could have waited for someone else to come by! I agree that people with good skin can take great post workout selfies because their skin looks good without needing to wear concealer! 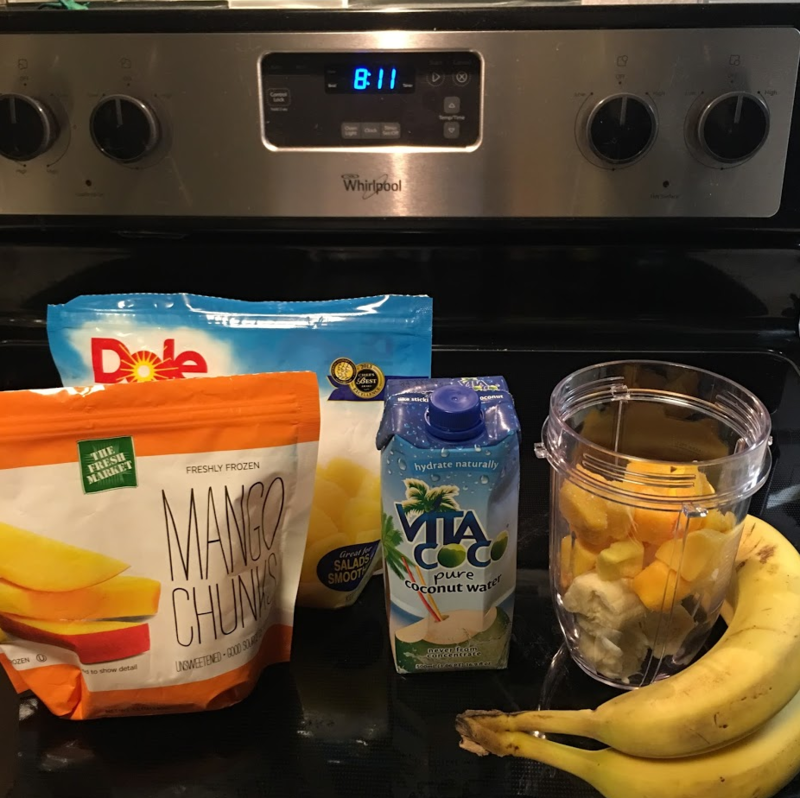 Your smoothie ingredients look really good! We make a yummy one at our house that is milk, frozen banana, tbl of peanut butter, dash of vanilla, and some chocolate syrup (to your liking). I think it’s mostly healthy 🙂 Tastes just like a dessert though! Mmmmmm that sounds like my kind of smoothie! YUM! I might need to make that this weekend! 😀 Thanks for the recipe! WHAAAAAAT?! That is so crazy!!!! I can’t even. Wow! 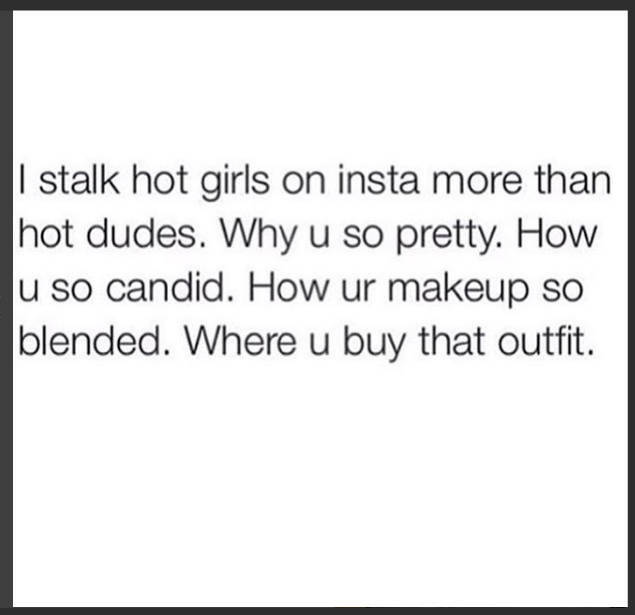 I LOVE your Insta!!! 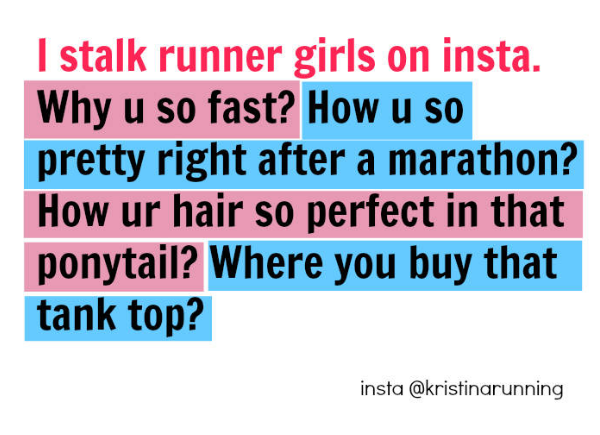 I always wonder the same thing and am slightly jealous of girls who look so good post-run (even if may or may not be reeeeallly post-run). I hardly ever show my face in Insta because I’m self-conscious about how I look w/o make-up and also think it’s just kinda awkward, lol! Like, I’m looking at the camera knowing I’m posing for…..the camera. Jaja!!! I don’t think I’ve been stopped mid-run. Maybe I have. I’m sure it would bother me but then I’d probably forget about it and think about food. I think it is hilarious he called it a sweatproof radio. Bawhahaha. Who does not know these things? He was probably just trying to hit on you. You know that, right? Wow, I can’t believe he’d flag you down to ask about your armband! Don’t people have any sense? How hard would it have been for him to google “running armband” or something? Your smoothie ingredients look yummy! I have been stopped on a run – a long time ago lady stopped me and asked how to enroll her kids for school lol I was running near the school when she stopped me lol I was very annoyed. Why on earth would anyone think that is okay? ?